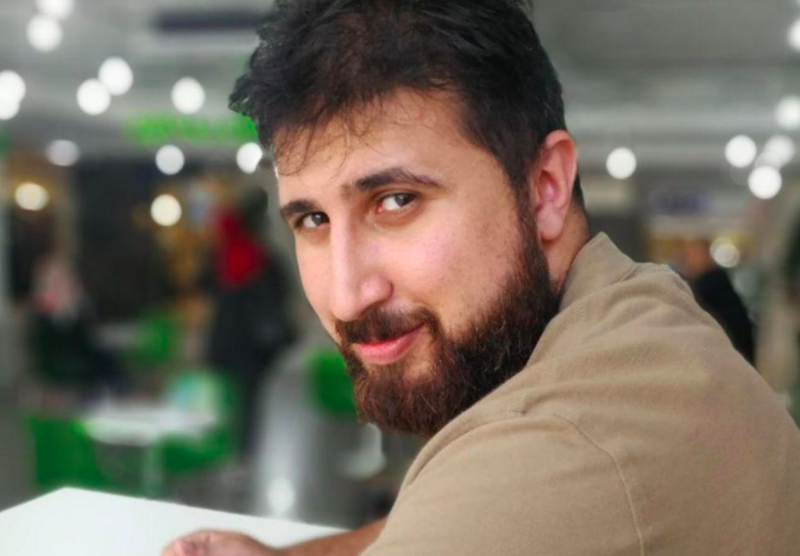 Mohammed Al Kurd, better known as Kuki, recently joined our engineering team here at Hatch Apps! Kuki comes to us through Atlas Corps, a overseas fellowship program that connects skilled professionals to outstanding companies. I sat down and talked to Kuki about his startup “Kookies”, artificial intelligence, and teleportation. Isabel: To start off, can you talk a bit about your decision to join the Hatch Apps team? Kuki: So four or five years ago, I started working for international companies, implementing their startups and working on their engineering teams. Last year I worked with someone from Atlas Corps, and he introduced me to the idea of being an Atlas Fellow. So I just applied for the program, and because of my technical background they referred me to Hatch Apps. From the first time I met with the engineering team, Param, and Amelia, I just saw how motivated they were. I was so excited about what the they were building. It’s a technical challenge for me, and I was very excited to be part of the team building this startup and leading this startup to be successful. Isabel: That’s awesome! So you joined the team as a full-stack engineer. Could you tell us a bit about how you become interested in engineering? Kuki: When I was a child, my dad bought a computer, and we had the internet. So I had this passion about discovering everything. I was just looking at how people make these things, how they build the games, how they build websites. So I started searching for that, and I built my first website when I was twelve years old. That was a passion for me, and that pushed me to be a computer engineer which led me to where I am now. Isabel: Wow first website at twelve? That’s amazing. What do you think is the most interesting development project you’ve worked on? Kuki: Hatch is one of the most interesting projects I’ve worked on, but I remember a few years ago, me and my friends and I started working on a project called Asaas. It’s a real estate management project. It operates in the MENA region. It was the first one in the region and serving our people. So me and my friends built it from scratch, and now it is one of the most successful startups in the region, and it’s helped people in real estate and real estate management. It has always been about the team, and I had the most amazing team, almost as delightful as the team I have now. Isabel: That’s good to hear. Speaking of past projects, you’re currently the CEO of a company called Kookies. Would you tell us a bit about that? Kuki: Yeah, so we launched that company eighteen months ago. It was an idea from me and my friends. It is a community for baked food enthusiasts who love to share their recipes and to learn about cooking. So we launched this startup to be a community for them, and we started it by going from some creative ideas from elsewhere. We were following Blue Apron and other models of ingredient delivery, so anyone could post a recipe with the ingredients, and someone would buy the ingredients and we would handle the grocery and delivery for them. So we started with that model, but now we are shutting down that version, and we’re moving to just build the community, focusing on building the recipe sharing part. Isabel: That’s way cool. So you’re eventually planning on getting a Masters in Artificial Intelligence. What interest you about AI? Kuki: I think AI is the future. When you look at homes now and the devices you have, like Google Home, Alexa – that’s all built on artificial intelligence. Even when you log credit card information at check outs, there’s AI and that is the future. That’s why I’m interested in it, and what I want to do is to achieve something in this space. I imagine that in the future the AI machines will be almost as smart as people. Isabel: That’s crazy to think about! So is it all about software and AI? Or what else do you enjoy doing outside of work? Kuki: So the thing I’m always doing is taking a walk for two hours. I also love going out with my friends; I love being around people. I’m always going out with my friends, meeting new people, taking long walks, exploring new things, and playing soccer. So I just joined a soccer team here and it is one of the most interesting things. Besides that, I like to have one hour a day to read new things. I really like to read blogs not about a specific topic but about new things. Isabel: Neat. So last question here: One of our team values is that no idea is too crazy. Are you sitting on any crazy ideas right now? Kuki: I’m so interested in the area of quantum physics. So I was reading a lot about this, and one of my dreams is to use technology and future developments to make teleportation a real thing. I’m not talking about the human body, but at least the microscopic things that we can use teleportation to move quickly and easily. A lot of scientists think it’s not possible right now, but I think it will be. Nothing is impossible, especially with what we have accomplished in this time like the communications we have right now. We can hear each other over phone despite the distance between us. So I think this thing will happen one day, and I want to help make it happen. Isabel: That sounds incredible. Definitely outside my realm of scientific knowledge, but I’m sure you’d be the right man for the team. Thanks so much for talking to us!